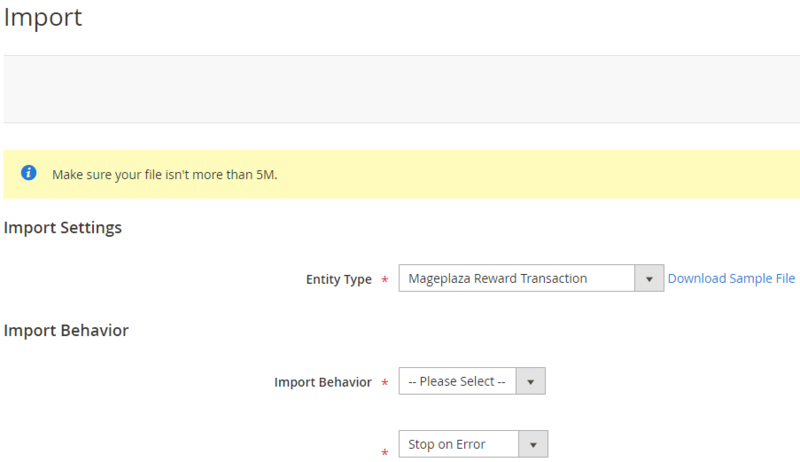 In order to improve Magento 2 Reward Points extension as well as bring the most interesting features to the customers, Mageplaza has developed Reward Points Ultimate extension. 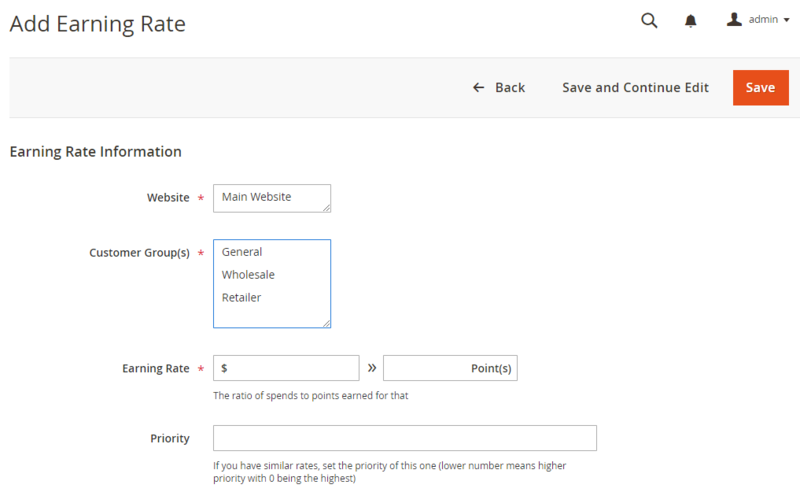 This is an advanced version of Professional version that comes with tons of powerful functions for admins in managing their online stores. 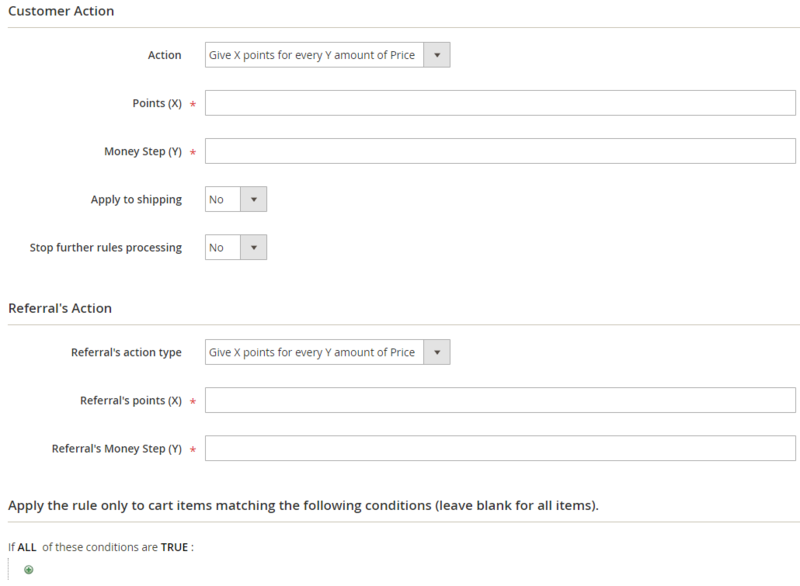 When you reach the number of specific points, customers can purchase the products by points instead of paying the money as usual. 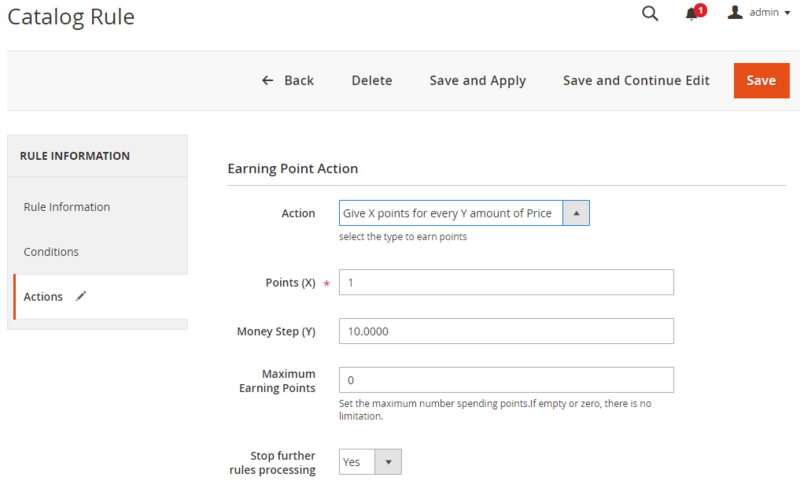 The price of products based on points will display when the Balance of customers has a larger point than the Product’s point price. 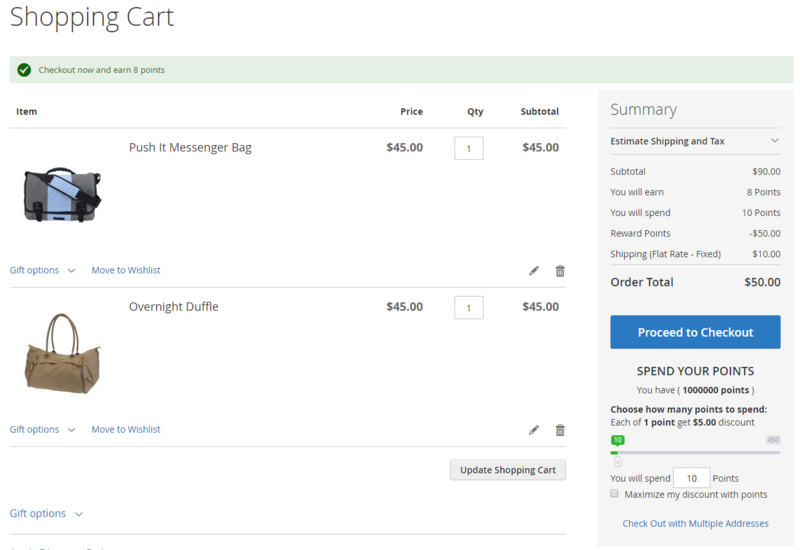 Note: If the cart has the products that are sold by points, customers cannot use points to discount for the cart. 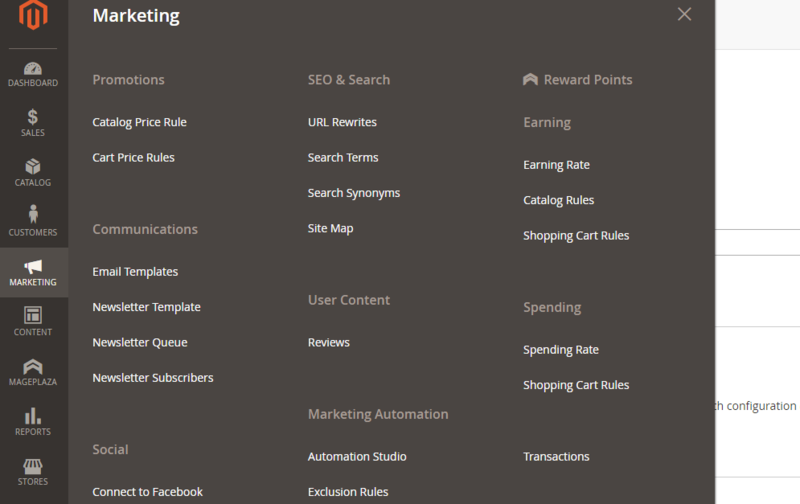 This is a place storing all Behavior Rules that shop owners have created. 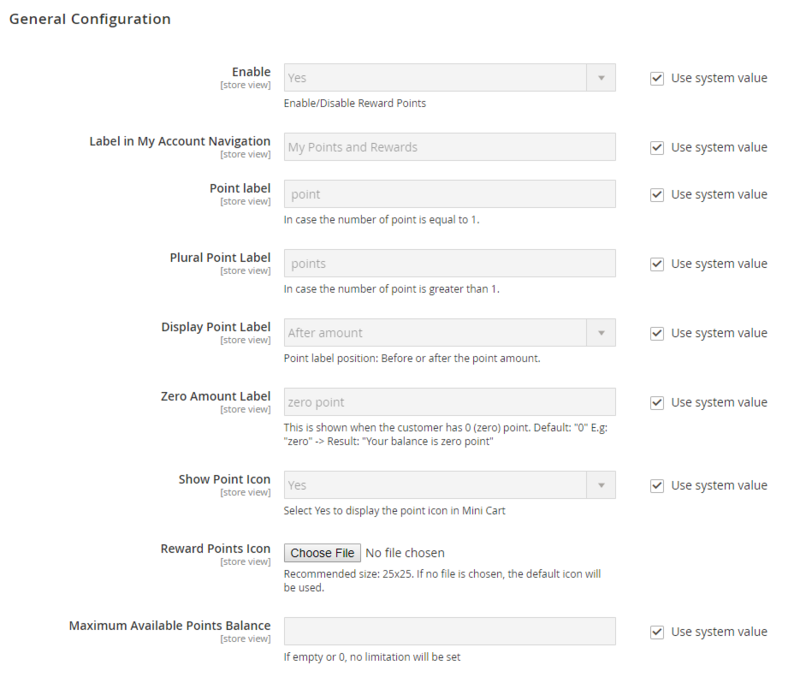 From the Grid, admins can know all basic information of Behavior Rules as ID, Name, Action, Point Amount, Status, Create On, Expired, Priority. 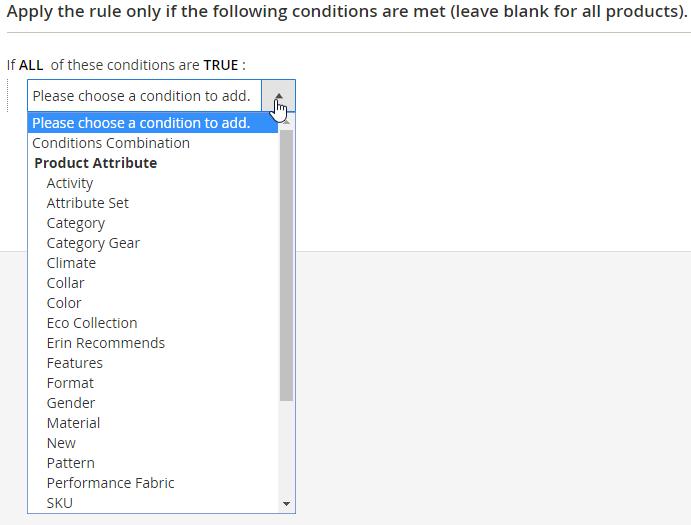 Admins can filter to find the rule on the Grid. 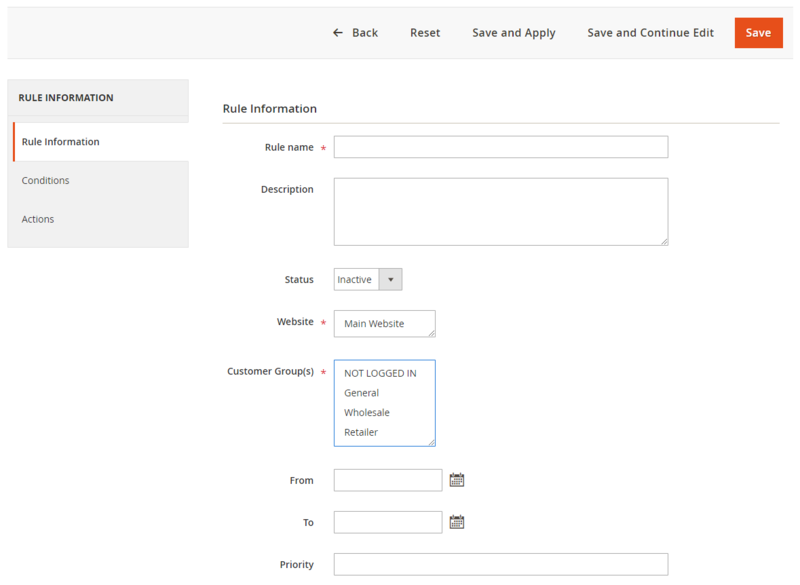 After going to the Behavior Rules page, admins can choose Add New Rule to create a new Behavior Rule. 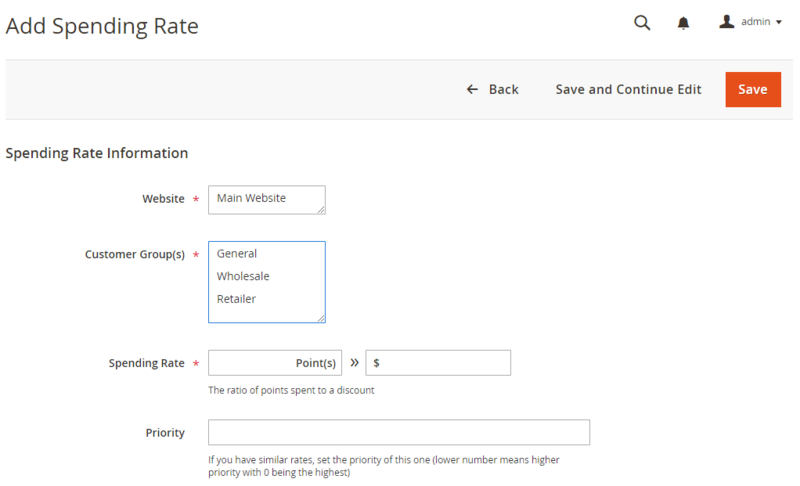 After choosing Save and Continue Edit, the page will auto-redirect to the Edit Rate page. 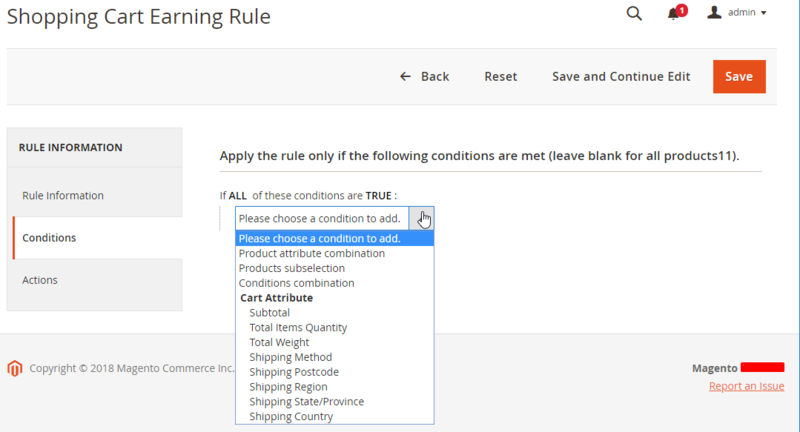 Rule Information shows the basic information of the rule. These information will be displayed outside the grid. 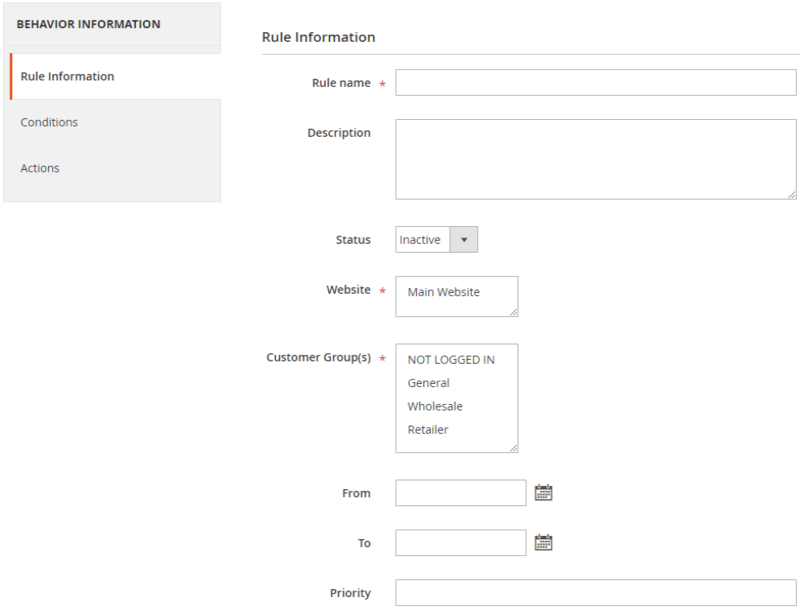 Indicates the priority used by this Behavior Rule against other Behavior Rules. 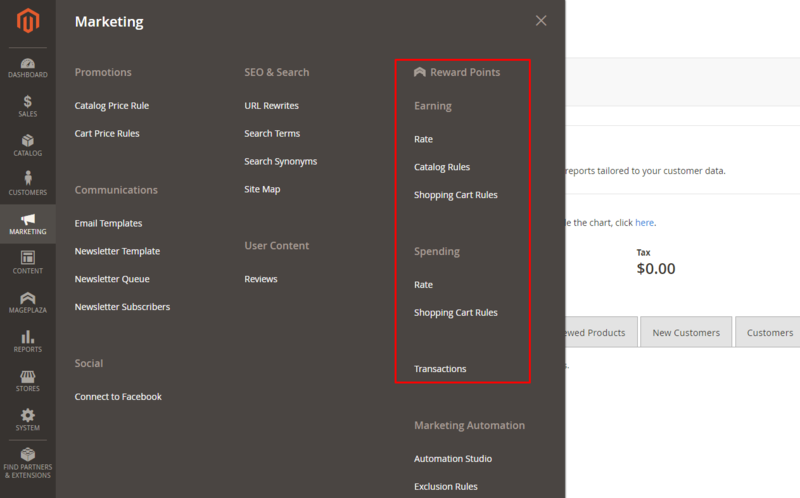 When two Behavior Rules have the same priority, the rule that has a smaller ID will be prioritized (the rule is created first). 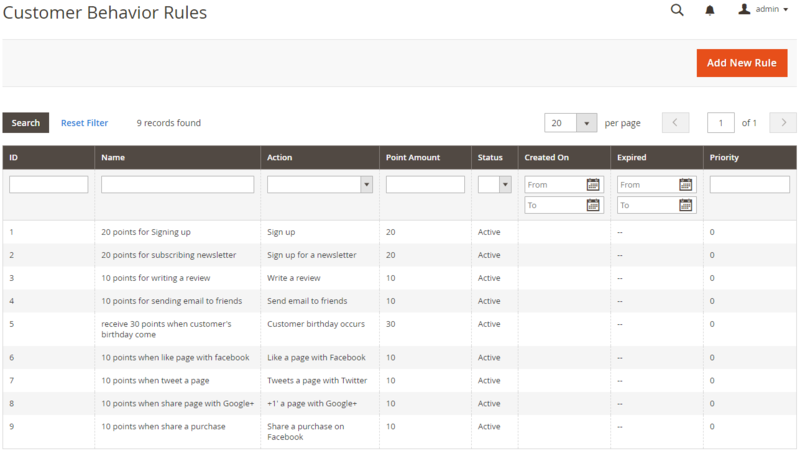 Sign up for a newsletter: When the customers subscribe to the newsletter, they will be plused points. 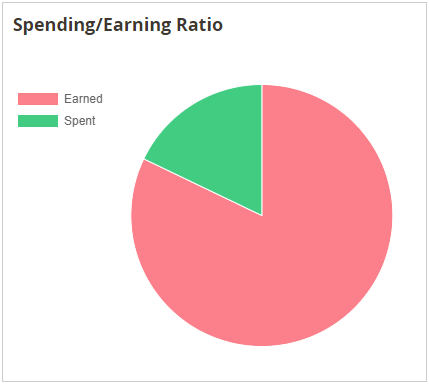 Note that only one point is given for this action. 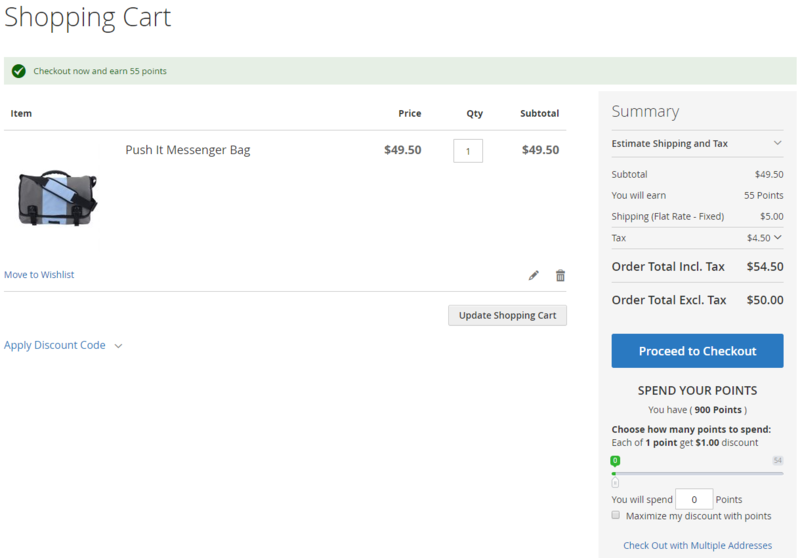 After you cancel, then resigter again, you won’t get the point. 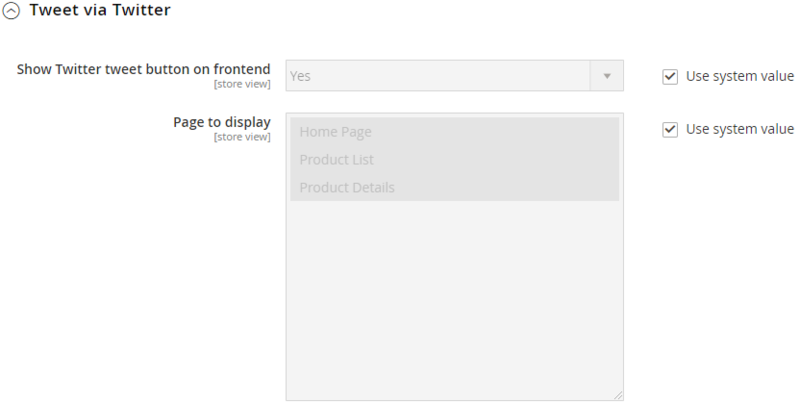 Write a review: When customers write a review for the product and it is approved, the point will be added. However, the review needs to meet the word count requirement. 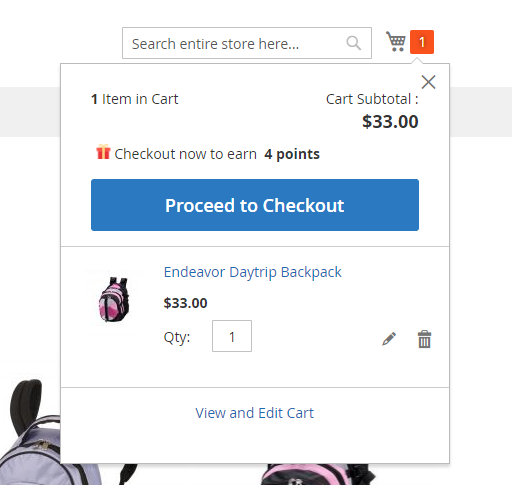 At the same time, customers may need to purchase the product before reviewing for getting the point. 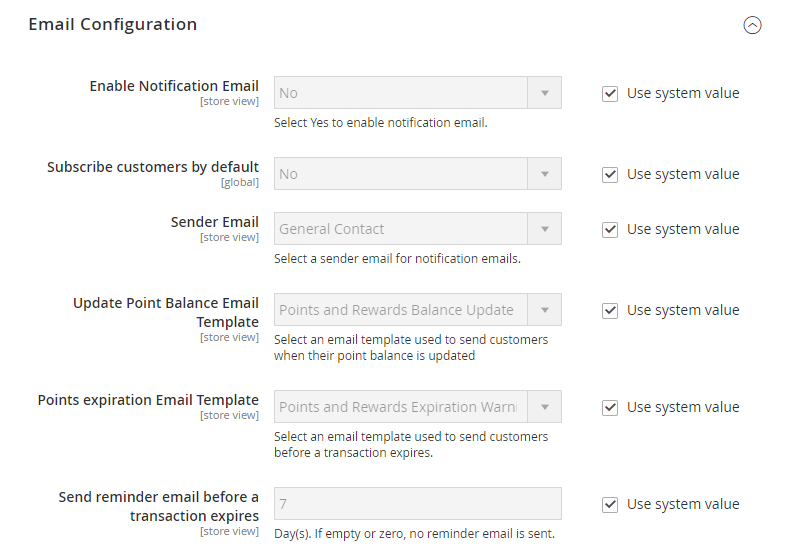 For the remaining actions, admins can limit the number of points that Customers receive in a given time period (per day, per month, per year or lifetime). 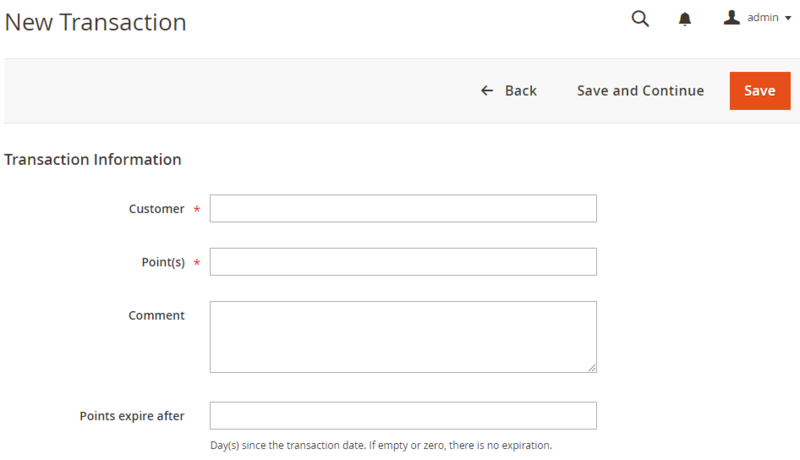 For example: Refer code of the account A is 123, Refer code of account B is abc. 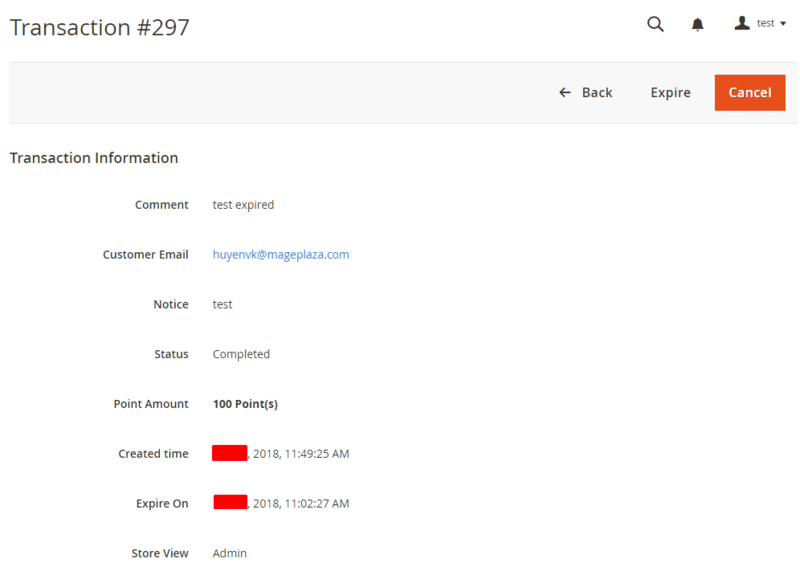 A is in General Customer. B is in Retailed Customer. 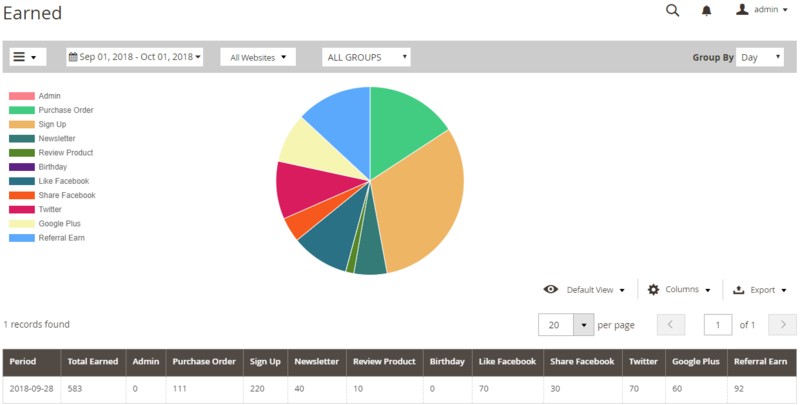 Rule has Customer Group as General, Referral Group as General. 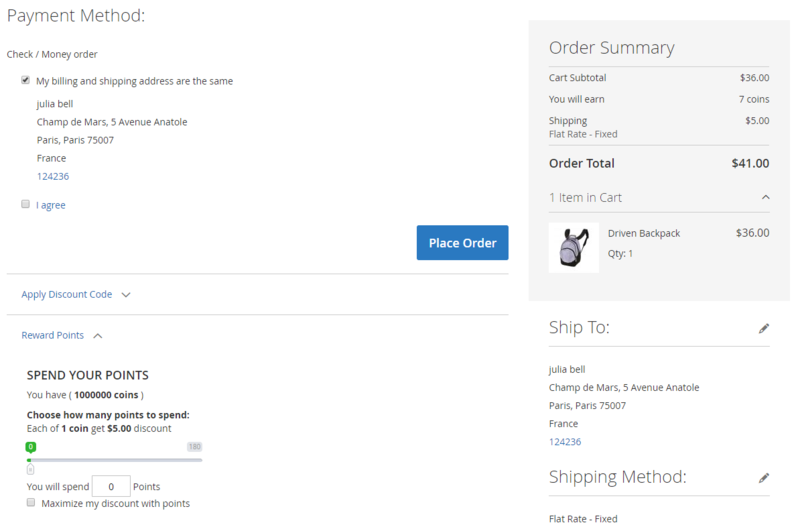 When A and B send the code at the same time to C as General Customer, only the code of A works. 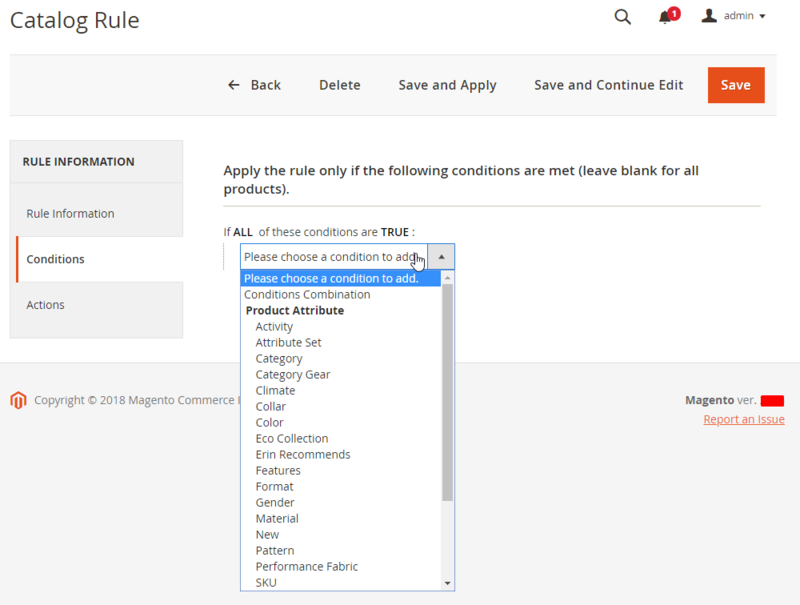 Indicates the priority used by this Refer Rule against other Behavior Rules. 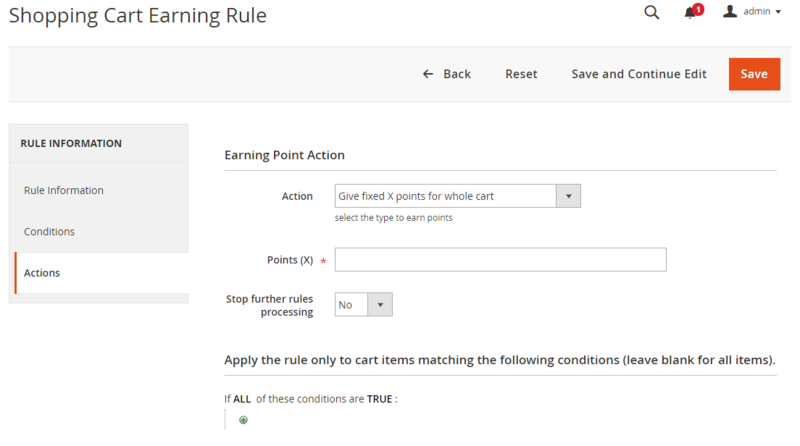 When two Refer Rules have the same priority, the rule that has a smaller ID will be prioritized (the rule is created first). 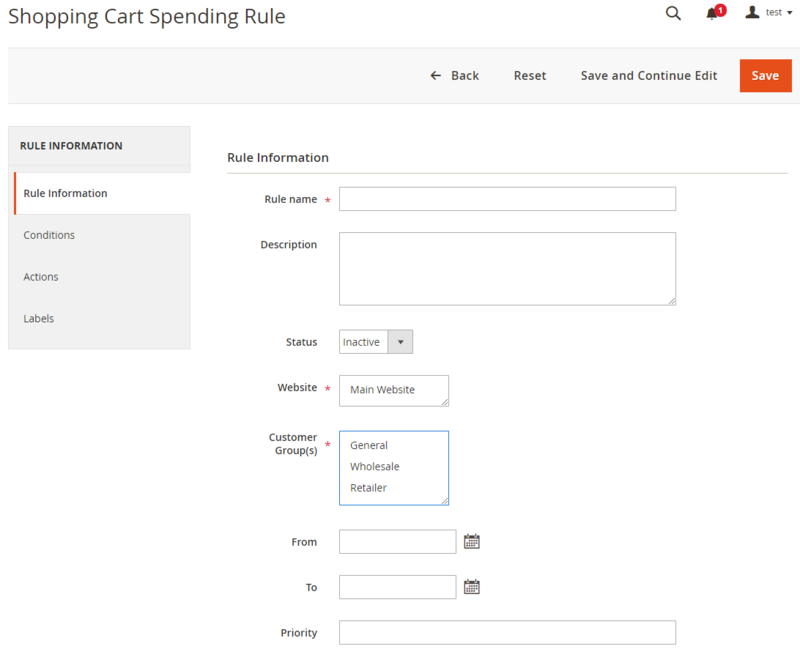 This section allows admins to choose the conditions for the carts. 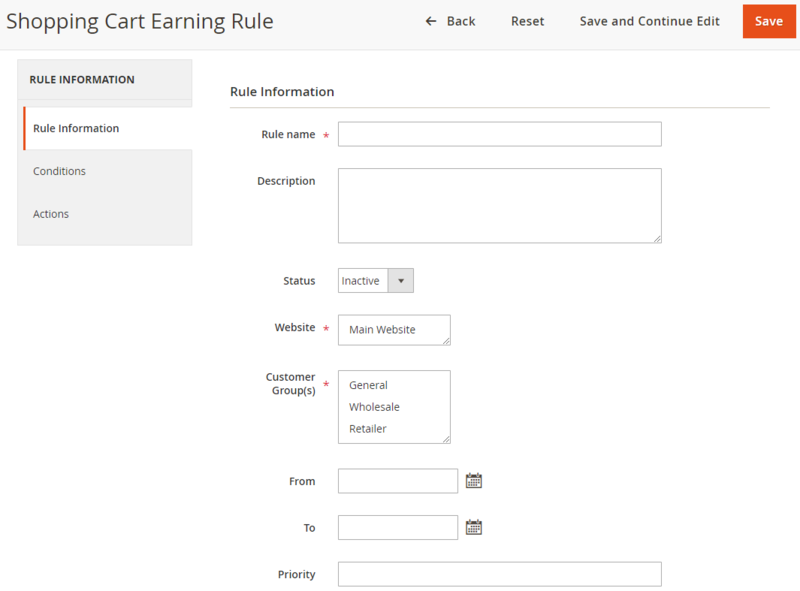 Only carts that meet the selected conditions, the rule is applied. 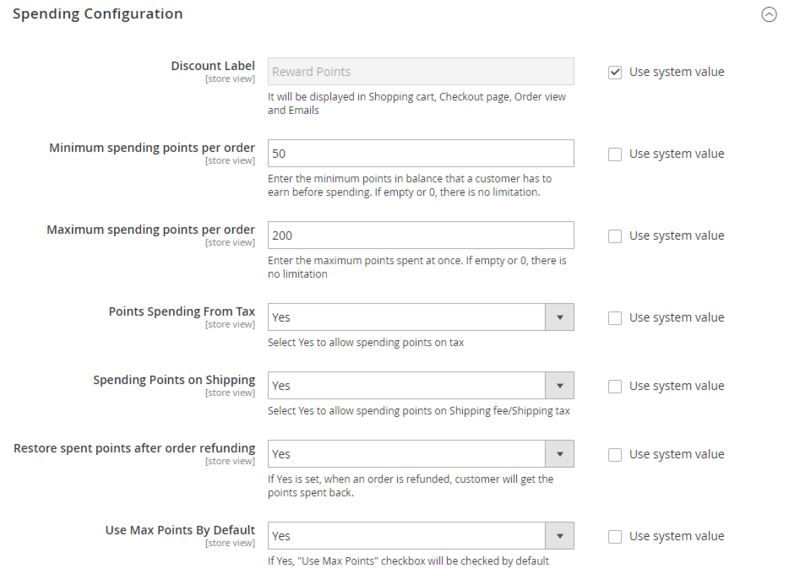 Give X points for every Y amount of price: Based on Order Total to calculate the number of points that Customer can receive in a certain proportion. 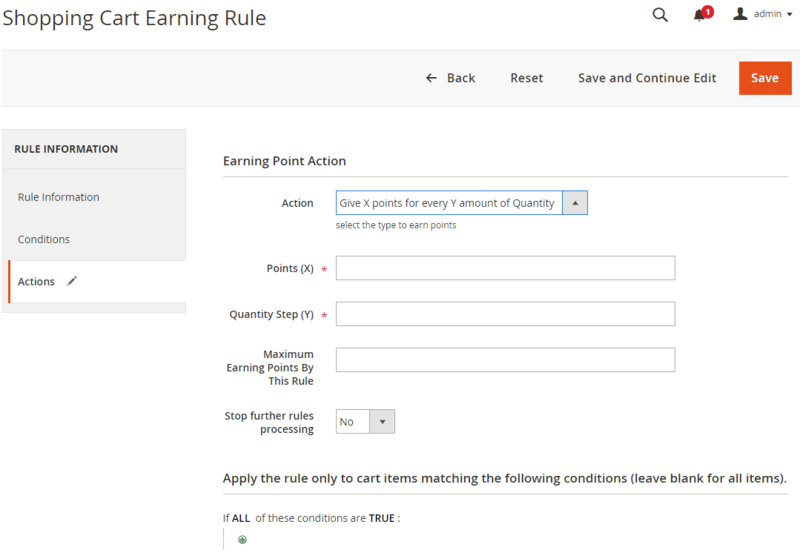 Give fixed X points to Referer: Regardless of how much the refer link user order, the referer still receives a fixed amount X point. 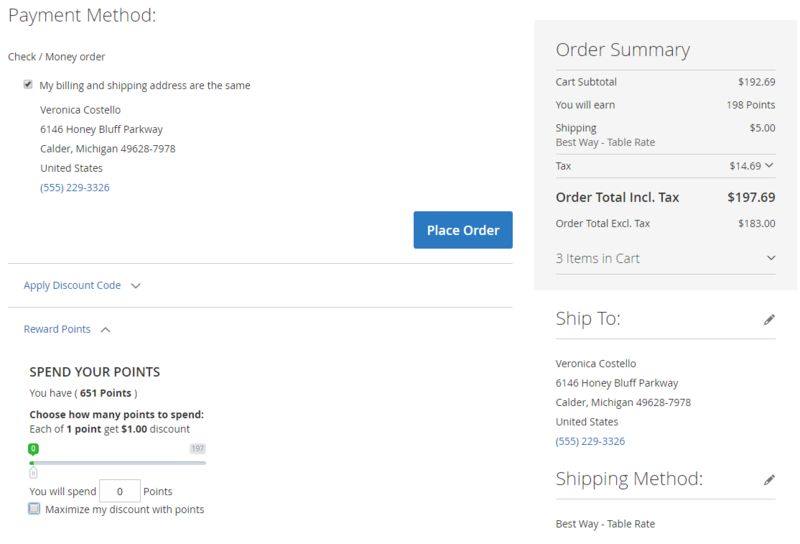 Give X points for every Y amount of Price: The number of points that referers can receive depends on the total order ordered by the referrer. 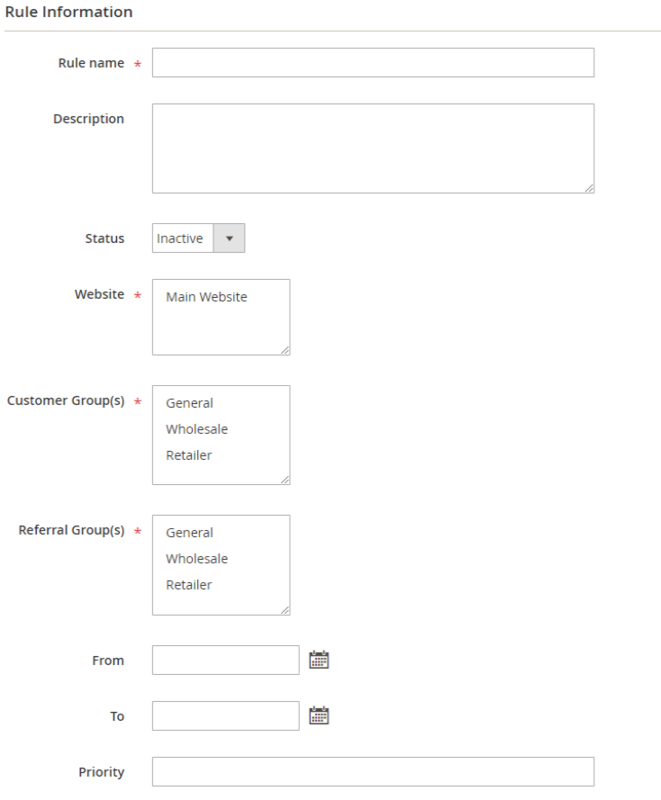 Note: Each customer uses one the refer link only. 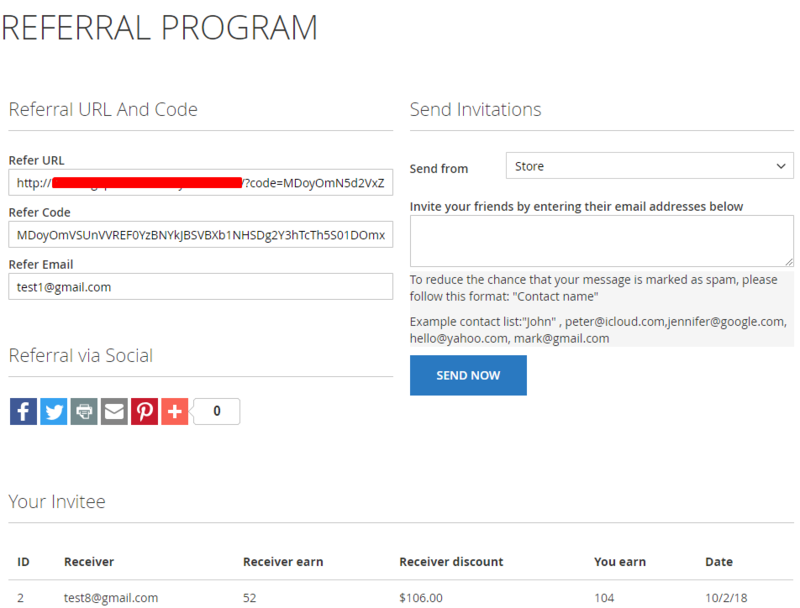 As soon as Customer uses a referral link to place a successful order, Invitation History will log the basic information such as ID, Referral Email, Invitation Email, Referral Earn, Invited Earn, Invited Discount, Store. This information will be synchronized with My referral of the referer. 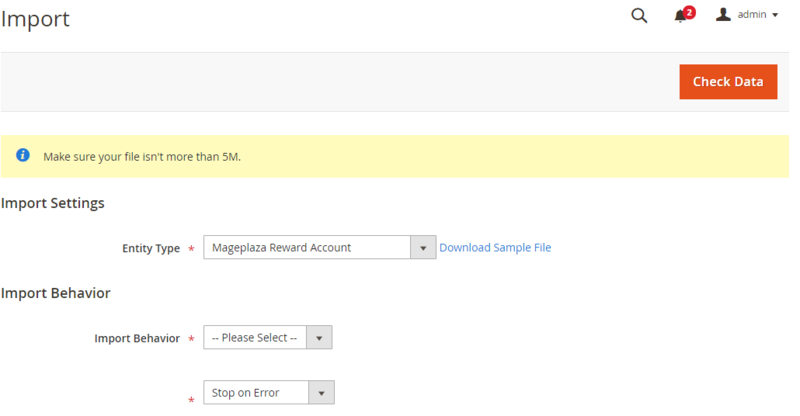 Reward Points Ultimate offers 2 Report dashboards that are compatible with Mageplaza Reports. 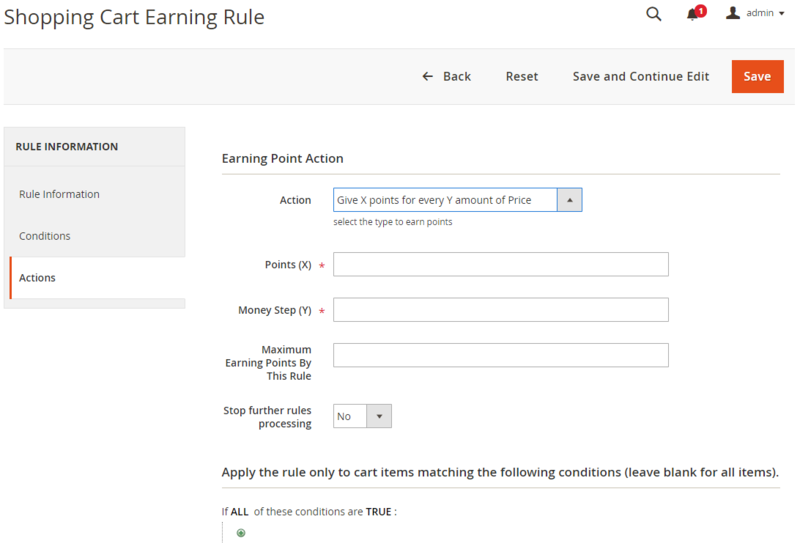 To set the price by Point for Product, admins need to Edit Product and enter the amount of points converted from the price that you want to sell, then Save Product. 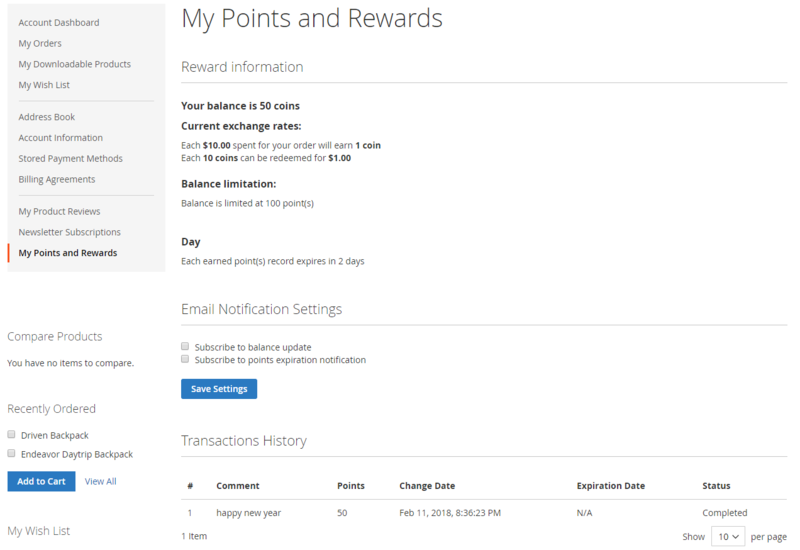 To assist customers in backing up Reward Point data when switching systems, we have added the Import feature of Account and Transaction Reward. 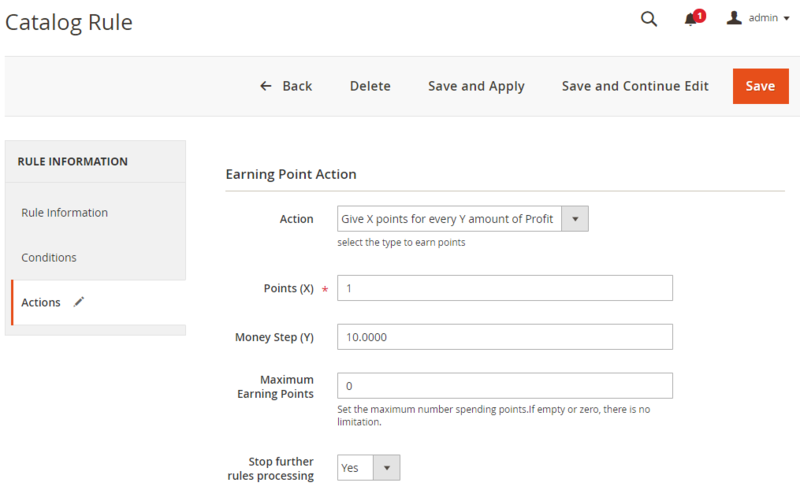 Reward Point Ultimate supports API function. 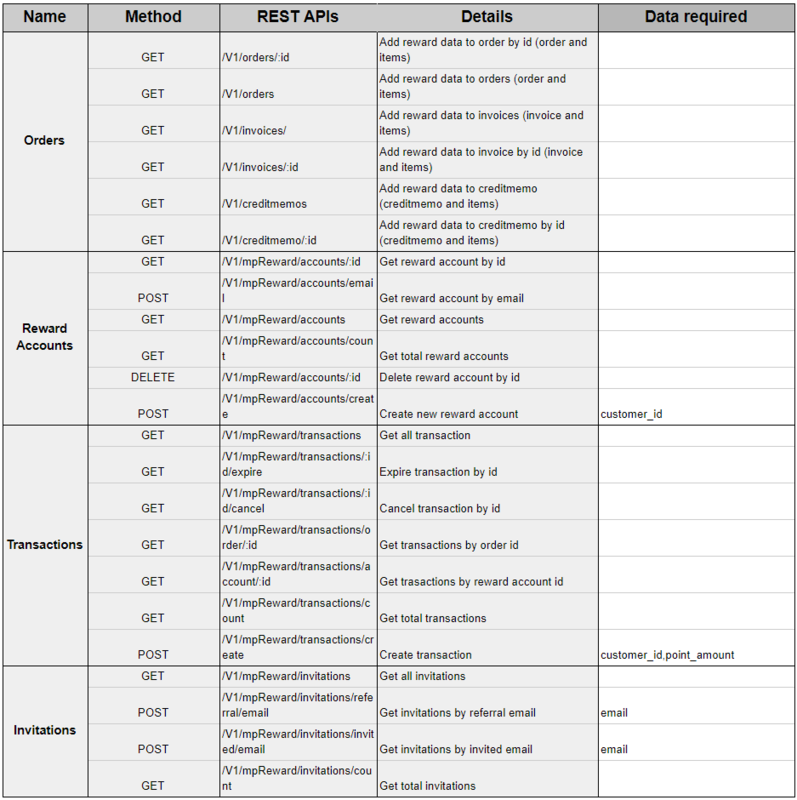 The API allows users to get a list with all their offers in the selected format (JSON) with the payout showcased in the selected currency. 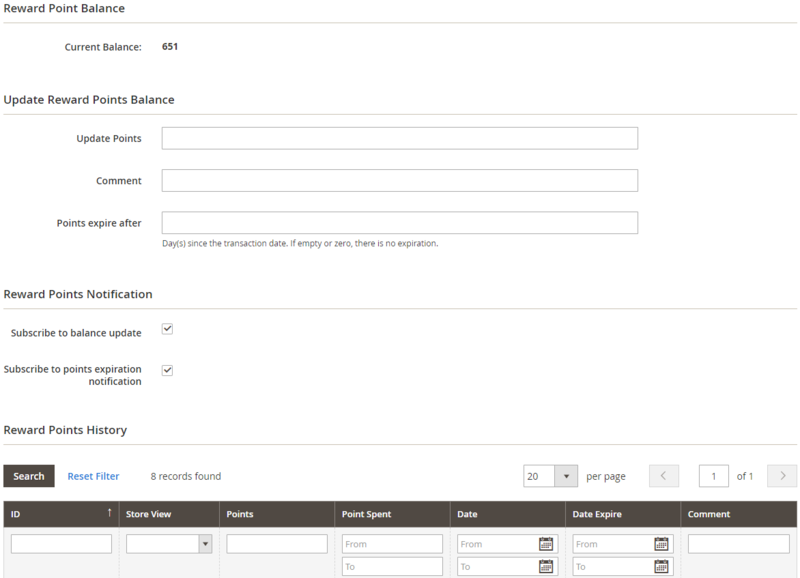 The list can be filtered by status (pending, approved, or cancel), order, account affiliate, transaction, withdraw and campaign; add new account affiliate, withdraw; delete account affiliate, campaign. 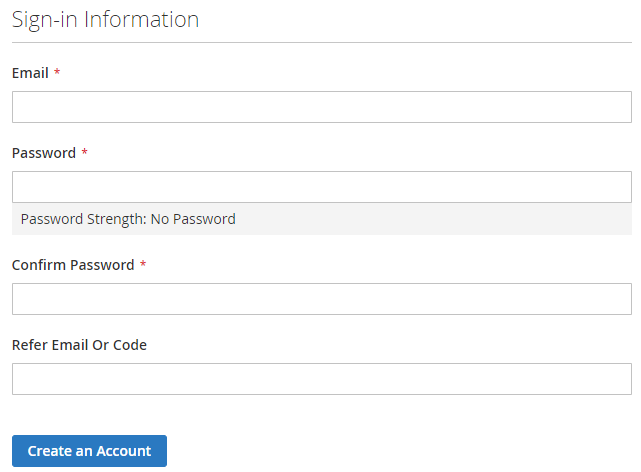 See how to create an API here and how to create token-based authentication here. 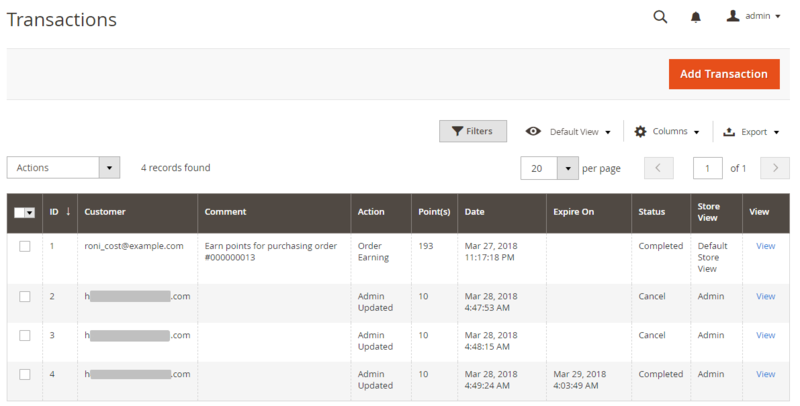 Customers can get refer code information or the email of refereers, they can completely fill in the Refer Email Or Code, then Create an Account and place order and get point/discount.